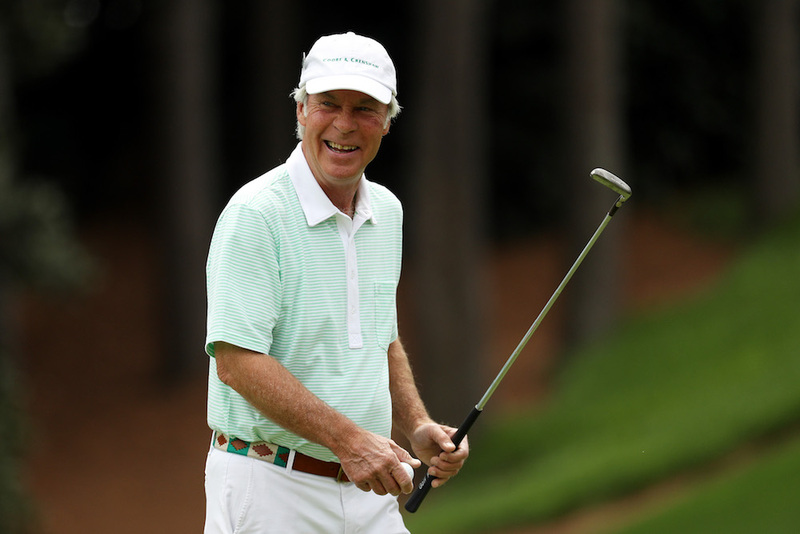 I was once on a golf course with Tom Doak when he told a story about a trip he’d taken with one of his clients. The man asked Tom to plan a trip to the UK with no constraints on cost or time. The group would fly private from the states and could arrange a helicopter for transportation once in the UK if necessary. They could go anywhere. 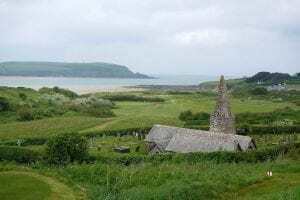 Without hesitating, Tom chose southern England, specifically the southwest coast and a course called St. Enodoc. It was one heck of an endorsement, and catapulted England’s south coast to the top of my wish list. A year later, an email from the owner of Prince’s Golf Club on England’s southeast coast gave me the kick necessary to finally plan the trip. After doing the research, I created a one-week trip with three rounds in the southwest counties of Cornwall and Devon and three rounds in the southeast county of Kent, with a driving day between the two. I easily could have spent a week in each. The Cornish coast is a popular vacation spot for English families, its villages feeling happily unplugged from the busy world. The Kent coast is much closer to London and more connected thanks to commuter trains and large roadways leading to ancient towns. East coast or west, the courses in both are top notch. Along with the ones detailed on the pages that follow consider Saunton’s West course, Burnham & Berrow, and Trevose in the southwest, Rye (Old), and Littlestone in the southeast. 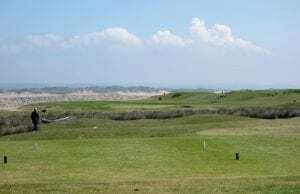 The walk from the parking lot to Saunton East’s first tee rounds a row of hedges that suddenly exposes an expansive view of Braunton Burrows, one of the largest sand dune systems in England. They stretch seemingly forever and are so dramatic that you can’t help but stop to take it all in. Despite the dunes and Saunton’s coastal location, the sea never comes into play or view, leaving the design to speak for itself. 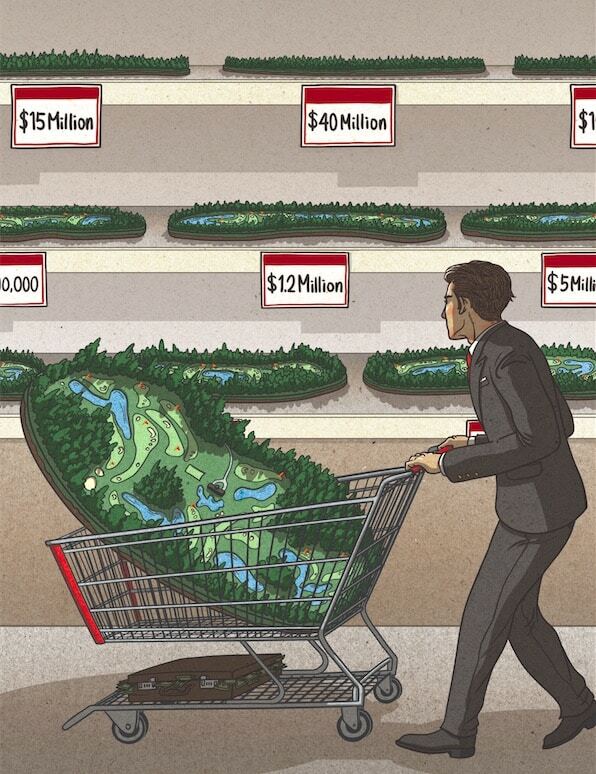 Which it does, principally 18 world-class green complexes set within, beneath, and on top of the dunes. The tee shots and fairways don’t have the same variety, which is all that prevents this from being considered one of the best in England. St. Enodoc embodies everything great about UK golf. The James Braid design climbs and falls over hilly terrain—rumpled fairways and giant dunes frame many of the holes—while overlooking the Camel Estuary and the charming village of Padstow, creating one of the most characterful courses I’ve played. Besides the ancient stone walls that divide fairways and border greens, two landmarks stand out. First, the massive Himalayas bunker that creates a blind approach on the 6th hole: It’s visible starting on the 4th hole and creates both anticipation and intrigue. Second, St. Enodoc Church, after which the course is named. 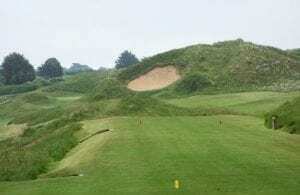 Holes 10–14 play around the 12th century building that was once completely buried under the shifting dunes. In the mid-19th century, the church was unearthed and the dunes stabilized, saving the historic building and a focal point of the round. Commonly called Westward Ho! 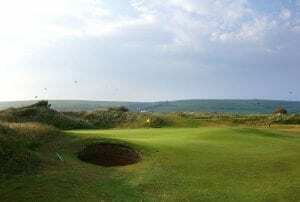 after the nearby town, Royal North Devon is the oldest golf club in England still playing on its original site, across a mix of flat land and sandy dunes bordering the coast. The holes along the water (3–10) enjoy the best terrain and are the most memorable. The rest of the course is a master class in how to use bunkering, angles, and pushed-up greens to add excitement to flat landscape. The course is also common grazing land, so hikers, sheep, and horses meander on the property, heightening the experience. Earlier this year, 49 feet of land washed away behind the 8th tee. 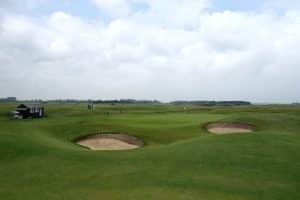 Natural England, the organization that controls the land, has said there will be no changes to the sea defenses, meaning the club will likely need to build two new greens away from the sea. Try to play here before they’re done. 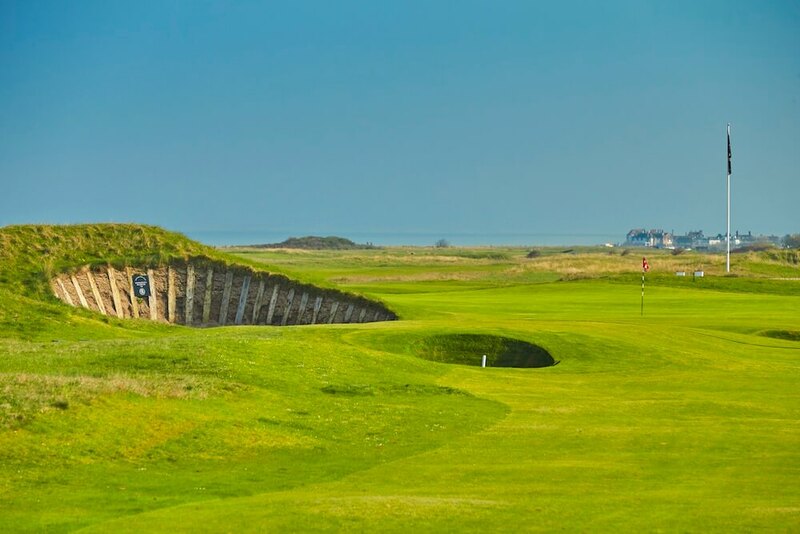 The history of golf at Royal Cinque Ports—also called Deal for its town—is a timeline of highs and lows. Between 1909–1920 the course hosted two Open Championships, including the first Open to take place after World War 1. Both of the wars severely damaged the course when it was used as a training ground, but it was quickly rebuilt following each conflict. As a result, the club understands the need for constant improvement, and thanks to continuing renovation projects and architectural consultations, the course has never looked better. It’s a traditional out-and-back routing along the coast through sand dunes that create endless movement and interest. It never seems to provide a flat lie or straightforward stance, and while some raised greens repel balls, other sunken greens funnel balls toward the hole. 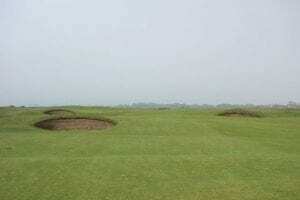 The last seven holes play into the prevailing wind and are some of the toughest in the British Isles. 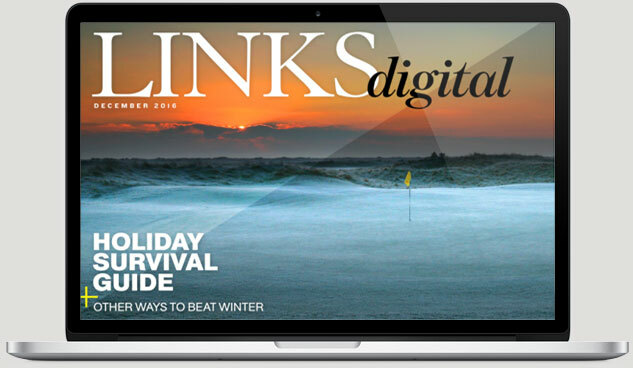 When it opened in 1906, Prince’s was heralded as a modern links course that, at just under 7,000 yards, could stand up to new technology. In 1932, the course hosted its only Open Championship, won by American Gene Sarazen. 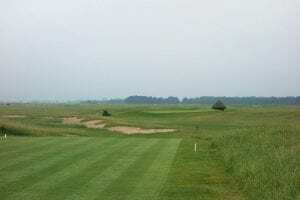 During World War II, the course was destroyed while serving as a training site for the British army, then rebuilt as three nines named Shore, Dunes, and Himalayas. British architect Martin Ebert recently redesigned the Himalayas nine, turning it into a contender for the strongest with sandy blowouts and—unusual for links golf—water on some holes. The Shore and Dunes nines are more traditional with rumpled fairways, greens set within dunes, and a great use of angles to add challenge. If you’re exploring the region, the Lodge at Prince’s makes a perfect base. Only seven years after opening in 1887, Royal St. George’s hosted the first Open Championship outside of Scotland. Since then, the Open has returned 14 times (with another coming in 2020) on what is widely considered the best course in England. The land isn’t particularly hilly, but the site is enormous and the design uses every bump, hollow, and dune to create stellar movement. The routing roughly forms two circles, so the wind direction changes with every hole. But just as large a part of the experience at Royal St. George’s is the traditions of the club. A major part of that is the four-course coat-and-tie lunch in the dining room, which should be compulsory for any visiting golfer (as well as cocktails to start and coffee or kümmel to finish). Also tradition at St. George’s is play in twosomes or foursomes (alternate shot) and the idea that a round should take more than three hours is offensive to members—if only that attitude was widespread here in the States.